Based on the author’s own experiences, these stories vividly describe memorable people and events of the Pellowski family and its Latsch Valley neighbors and descendants. Immersed in the vigorous life of their American-Polish community the world for young Anna and her friends is filled with fascinating possibilities - as well as lots of hard work. Through there many adventures the children begin to realize what warm security is to be found in a hardworking family rooted in faith and love. Recommended for grades 4 and up. 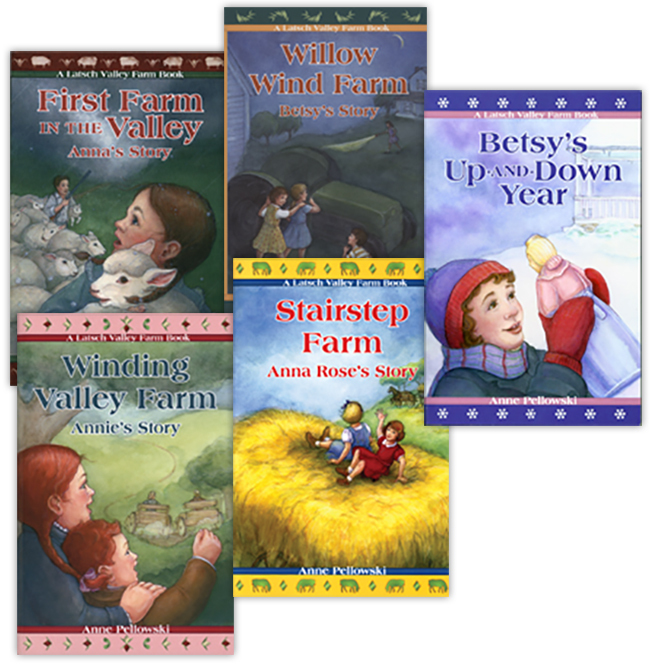 The stories are based on the author's own family, with the first book focusing on events in the life of the author's great aunt, the second book provides highlights from her own mother's life, whereas the third book is based on the author's childhood. Books four and five weave in details from the life of her niece. The whole set of 5 books presents a picture of life within four generations of the author's Polish-American - and very Catholic - family.